1. According to NASA, the planet's largest moon titan has more than 100 meters of deep and small lakes on methane? 2. Which country has the world's highest indoor waterfall (131 feet high) on the Changi airport opened to the public? 3How many seats for the 11 states and Union Territory of Puducherry began in the second phase of Lok Sabha elections on April 18, 2019? 4. Which country recently tested a weapon with a new powerful weapon? 5. Indian Pahlwal Bajrang Punia won again the number of men in men's free-style wrestling again in the world? 6 . Which Indian industrialist's name is included in the list of 100 most influential people released recently by Time Magazine? 7. Which Indian vessel was inducted in the second naval exercise conducted in India-Vietnam? 8. Which mission of NASA was detected that there are also deep lakes of Methane on Moon Titan of Saturn planet? 9. In which of the following places have been given notice to 378, including 46 industrial units which contaminate the Yamuna? 10. In which place was the Resilient Cities Asia-Pacific congress organized recently? Details: According to NASA, American Space Agency has more than 100 meters of deep and small lakes on Methane on Saturn's largest moon Titan. This information has been received by scientists with the help of NASA data collected with the Cassini spacecraft. Description: The world's highest indoor waterfall (131 feet high) on Singapore's Changi Airport has been opened to the general public. A portion of the airport was being renovated for nearly four years. About eight thousand crore rupees spent on making it a new look. Description:Polling for 95 seats in 11 states and Union Territory of Puducherry began in the second phase of Lok Sabha elections on April 18, 2019. In the first phase on April 11, elections have been held in 91 seats in 20 states. Description: A new strategic weapon has been tested under the supervision of North Korean leader Kim Jong-un. This weapon is equipped with powerful weapons. This is the first test done after the barricade of the talks that started with nuclear disarmament with America. Description: Indian Pahlwal Bajrang Punia has secured first place in trust in men's 65 kg freestyle wrestling. Description:Reliance Industries (RIL) chairman Mukesh Ambani has been included in the Time Magazine list of the 100 most influential people. Arundhati Katju and Maneka Guruswami, who led the legal battle of LGBTQ rights in India, has also been included in this list. Description: In the backdrop of increasing seismic connectivity between India and Vietnam, Indian Navy organized another version of bilateral marine practice between the Indian Navy and Vietnam People's Navy in Vietnam on 13-16 April, 2019, in Camarat Bay, Vietnam. In this, INS Kolkata participated by India. Details:Methane's deep and small lakes are more than 100 meters on Saturn's largest moon Titan. Scientists have raised this information with the help of data collected from NASA's Cassini spacecraft, American Space Agency. Details: Haryana State Pollution Control Board (HSPCB) has sent a notice of closure to 378 industrial units of the state including 46 units of Gurujram leaving polluted water in the Yamuna river to pollute it. In fact, the Central Pollution Control Board had instructed HSPCB for this. 1. US House of Representatives recently voted in favor of separating the United States from the civil war of which country? 2. Asian Development Bank (ADB), citing 'macroeconomic challenges', has forecast Pakistan's growth rate falling from 5.2 percent in FY 2018 to 2019? 3. Which scientists have recently refused to believe Stephen Hawking? 4. Recently, BIS and KIT IIT have signed MOU for standardization and conformity evaluation? 5. Recently, which Supreme Court of India has asked India's drug company Daiichi Sankyo to pay outstanding 4,000 crore rupees? 6. Which country is ranked 101st in the world ranking released by FIFA on April 04, 2019? 7. In which state did the Indian Air Force find the debris of a US Air Force aircraft used recently in World War II? 8. 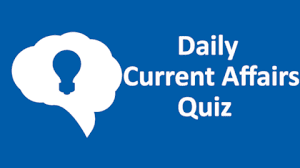 Which country's government declared the status of a national calamity on 5th April, 2019, on a large scale fire in five cities and counties of the North East Coast? 9. After the Pulwama attack in Jammu Kashmir, how many days have the decision been made to stop civilian traffic from the administration on the national highway from Baramulla to Udhampur till 31st May? 10. India has signed an agreement for the development and industrial use of lithium with which country? Details: Recently, the House of Representatives of the US voted in favor of separating the United States from the civil war of Yemen 247 votes in favor of the United States to get out of the Yemen Civil War, while 175 votes were opposed. Description: Citing the macroeconomic challenges, the Asian Development Bank (ADB) said that Pakistan's growth rate is expected to fall from 5.2 percent in FY13 to 3.9 percent in 2019. Details: Scientists recently rejected Stephen Hawking's theory of dark matter's source. Description: BIS and IIT Delhi will set up Center of Excellence for standardization, testing and conformity assessment. This center will be set up at IIT-Delhi campus. Description: Supreme Court has said that Malvinder and Shivinder Singh, former promoter of Ranbaxy, will not be sent to jail if they do not pay the outstanding amount of Rs 4,000 crore from Daiichi Sankyo, Japan's pharmaceutical company. Description: India has been ranked 101th in the world ranking released by FIFA on 04 April 2019. The total number of Indian team is 1219 and it is 18th in Asian countries. Details: 12 members of the Indian Army patrol team, along with the police, discovered the debris of a US Air Force aircraft from the Rowing District of Arunachal Pradesh on March 30, 2019, which is the period of World War II. Description: The South Korean government declared the status of a national calamity on 5th April, 2019, on a large scale fire in five cities and counties of the North East Coast. details: The CRPF convoy in Pulwama of Jammu and Kashmir and recently, the administration has taken a big decision considering the car explosion near the Jawahar Tunnel. The administration has announced the closure of citizen traffic on Sunday and Wednesday every week till May 31 on the national highway from Baramulla to Udhampur. Details: India and Bolivia have signed an agreement for the development and industrial use of lithium, which is used to power electric vehicles and cell phones. The election campaign in India is catching up. Although all the issues are being raised in the elections, the issue of Prime Minister Narendra Modi is dominated by them. Those people who have been hurting their eyes are once again mobilizing against them, on the other hand, those who believe in their ideas are busy in their efforts to bring them back to power, but these elections are glaring to the world. Seeing planted. Even though in India, people like or dislike Modi, but this fact can not be denied that they gave a new direction to Indian foreign policy which could never be given before. How Modi has been effective in advancing India on the global platform, it can be compared to Jawaharlal Nehru. Prime Minister Modi has given a new voice to India. This voice is also different from the voice of old India. In this way, Modi ensured that the whole world looked at the expectations and aspirations of India carefully. He has been able to orient the global world to think about issues like terrorism. This issue has been very important for India. In the same way, he has been able to fill India's reactionary kind of response to international issues such as climate change, as well as confidence in Indian interests. In a way, Modi again got the lost land of India on his own, which was defeated in the second term of the UPA due to policy paralysis. If not for any other thing, at least for this important availability, he can be given credit. Five years ago the world had become like one from India, But she has started seeing prospects again in India. It is hoped that India can go on stage at the grassroots level. Discussion in the election phase will be mainly around Pakistan, but Modi's foreign policy is widely focused on tackling China's emergence. Whatever reality India has, it will have to be forced to remove the challenge of China. There will be more speed over time. Whatever happens after the election, the government will have to deal with the challenge of China's emergence. Whether it is a matter of entry into the Nuclear Suppliers Group of India or the NSG or by the United Nations Security Council, it is proposed to declare Masood Azhar, the head of Jaish-e-Mohammed, as an international terrorist, China has constantly demonstrated how dramatically he is affecting India's strategic landscape. Modi has shown efficiency in solving Chinese puzzles. They showed steadfastness against China in Dokalam and the Belt and Road Initiative i.e. BRI's first protest in the world. After this, he also spoke to the Chinese leadership in Wuhan. When India looks at its strategic scenario, the party which is in power, it is not easy to ignore China's challenge for its leadership. In the past two decades due to non-assessment of time, New Delhi has already wasted a lot of time. India cannot tolerate it and bear negligence. India's growing steps towards the east and west are mainly the result of dealing with China's increasing penetration. For this, he will need the full cooperation of countries with similar views. Chinese leadership also talks. When India looks at its strategic scenario, the party which is in power, it is not easy to ignore China's challenge for its leadership. In the past two decades due to non-assessment of time, New Delhi has already wasted a lot of time. India cannot tolerate it and bear negligence. India's growing steps towards the east and west are mainly the result of dealing with China's increasing penetration. For this, he will need the full cooperation of countries with similar views. Chinese leadership also talks. When India looks at its strategic scenario, the party which is in power, it is not easy to ignore China's challenge for its leadership. In the past two decades due to non-assessment of time, New Delhi has already wasted a lot of time. India cannot tolerate it and bear negligence. India's growing steps towards the east and west are mainly the result of dealing with China's increasing penetration. For this, he will need the full cooperation of countries with similar views. The only result of handling penetration is the result. For this, he will need the full cooperation of countries with similar views. The only result of handling penetration is the result. For this, he will need the full cooperation of countries with similar views. Modi overwhelmed India's traditional neutrality policy on West, especially America. The activation of his government with the United States went ahead with the idea that India and the United States are moving ahead in the direction of the past and are pushing towards new economic-strategic relationships. Likewise, the re-emergence of the quartet in countries such as America, Japan, Australia, and India to answer Chinese aggression also removes the reluctance of the leaders of these countries that by doing this China would not be provoked. The Chinese sentiments are not practical now. In a recent interview, the Prime Minister said in an interview that the case of entry of women in Sabarimala temple, where it is related to tradition, the case of three divorces is related to gender justice. Other BJP leaders have been consistently saying that the matter of Sabarimala is related to faith. Surprisingly, in the judgment of the 2017 Shayra Bano judgment, the court did not say anything like sexual justice. The bench of the court found three divorced customs against non-Islamic faith and kept it separate from the discussion. At such times when it is seen that religion is going to play an important role in the 2019 general elections, it is necessary to understand the meaning of 'tradition', 'faith' and 'gender justice'. It is important to know that the issues of Sabarimala and three divorced people have been associated with faith, tradition or gender equality. Judge Indu Malhotra backed the Sabarimala issue as a matter of religious diversity, supporting the government's argument. But in the case of Shayra Bano, when the judges described the tradition of divorced three to Islam as much as 1400 years ago, he did not accept it. The matter of prohibition of entry of women in the Sabarimala temple is not related to the ancient tradition, and in 1939, the entry of the Queen of Travancore's temple is known. Most judges considered religious independence as a whole while deciding on three divorce cases. Under this, there is a personal law, and the duty of the judges is to protect it without interfering in this personal law. The judges had made it clear that the judicial review of the personal law cannot be reviewed. Therefore, three divorces cannot be held wrong due to mandate or health or ethics or any other fundamental rights. Some judges kept it out of the Islamic practices, which have constitutional protection, keeping it in the category of 'sin'. If you talk about 'sin', then this is the question of 'faith', which is considered 'sin' in theology and is not considered legally valid. S Radhakrishna believed that "Religion is a code of compliance with ethical rules and rituals, and different ways of functioning and worship are external forms of its expression." So who is to worship, where to do, how to do it And when to do so, the questions are related to faith or religious tradition. Faith only tells us which contexts are acceptable, and what not. In Article 26, each sect has been given the right to manage its religious matters. By saying that some Muslim countries do not accept three divorces, it is wrong to make three divorces not to make a case of faith and to make it a crime category. Islamic law is not identical. There is a sect in it, different from the other. It is wrong to deny the three divorce as a valid way, but it is wrong to accept it as a crime. Therefore, it is unanimous in most of the experts of Indian Islam if it does not believe in the validity. But most of them are against this being considered a crime because it is a social issue. 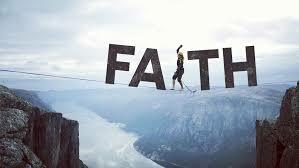 'Faith' is a matter of faith. It is not based on logic and ethics. Religion does not believe in logic and empiricism. Rather, all beliefs are retrograde, abnormal, and discriminatory because they originated in the pre-modern period. Being a progressive document, our Constitution has given us the right to keep both the right and the right to religious rights (Article 25-28) to a limited extent. An attempt has been made to reduce this right in the Sabarimala temple controversy decision by giving a message of constitutional morality. This is being opposed because of this. When Justice Chandrachud wanted to see this controversy in the context of untouchability, everyone felt that they were going away from the issue. But the news of two women being sanctified after the entry of the two women proved the judgment of Justice Changchun. All this happened, while the Constitution has ended the practice of untouchability. The majority in the Sabarimala case opposed the rule of barring women because it is against the original act of worship places. This Act has been rendered to mean that all the places of worship in Kerala should be kept open to the Hindus of all classes. The Supreme Court refused to recognize the Ayyappa's identity as a separate sect in the Hindus. The Sabarimala Trust, while offering the request of Ayappa God to be Brahmachari, appealed in court to keep Rajswala women's entry barred, expand religious freedom to God. But the court rejected it saying that the fundamental rights can not be given to God. The concept of sexual justice is modern, and our constitution is committed to it. Freedom of religion is under the right of equality, and this is the reason that the judges get little choice in maintaining discriminatory practices. But we should not just aim for formal equality, but should strive to achieve solid equality. In such solidarity, such a theory is accepted, in which man and woman can be treated differently. In this, it is advocated to identify the inequality between man and woman and behave in accordance with their nature. The difference between faith and religion is artificial and demands justice for both sexual justice. Ayyappa devotees and Muslim Personal Law Board; Both should welcome the Constitutional concept of sexual justice and should try internal reforms in their religions. The reforms imposed from above or from the court cannot be accepted in the Indian society, because Indian opinion is basically religious and it considers more of its religious teachers. The anti-people conflict in relation to Sabarimala indicates that our courts are not equipped with proper weapons to improve faith. The fact is that making notes is not just filling up the scattered facts in one place, but there is a lot more to it than before. If someone is making notes in the right way, then he should believe that he will have to go through a tremendous ideological stimulation while making. While making notes, we do not just read, but also read and study them as well. At first, we read different books. After reading, consider them which of these facts is important, which fact is not in the other. Those who are in it, mark them on the basis that we have to take this material in their notes. Suppose that you are reading with four books, then after reading all four, you think in mind about these four books together, so that they can mix together and create a structure in your mind, its one Texture can be prepared. Then there is an introduction to writing and going somewhere. When it comes to writing, then your mental crisis also increases. They are moments of ideological stimulation, and in that ideological stimulation, we have to think about which book is in the fact and in what book this fact is. By taking from there we create notes. It means that it is not only read, but the reader is not only reconciled, but the reader also goes to the head and after the churning, those who are different, they are made to be alike. Frankly, this period is very painful. This is the reason that most students are scared of making notes. They want him to get notes made of them, then nothing can be better for him than that. Unfortunately, they do not understand that there is nothing better than this. Yes, it is of course that the facts which were scattered, you will find it isolated in one place. But those who should get the real benefit from them, they will not be able to raise the advantage. So it is very important that we write the facts we read in our language. This is a great advantage next to it. It has the practice of thinking our brain at the level of language. It gives opportunity that he can develop his own language, and then he can also throw his thoughts on the copper leaf. Overall, it is only in compulsion that there is very good work here. Otherwise, when we are preparing for an exam, then there is no time to write, except to write in the examination hall. Notes give us that opportunity. 4. Do not know if you think or not, but I think that if I made notes with my hand, then I would have an emotional attachment with my notes. There will be a different kind of association with him. Since it involves my labor, I will get some extra love from him. And I believe that because of which we get connected, it gets closer to us. You would not think at all how such a thing could be with the notes. Gets along with the stone, gets along with the clay, gets along with the tree. And these mud, these stones, these trees are those, for whom we have not done anything. Only this is that we are living with them, just about But with the notes, we are gambling. This includes our creativity. We have given time for this. So connecting with such is a very natural thing. Then it is a straightforward thing that if you get involved with someone, Then you start feeling yourself and when you start feeling yourself, its misery, its hardness, its complexities all disappear. That thing becomes easy for us. This is a very big thing with notes. 5. Perhaps you have had the experience that you had made notes on any topic. Questions have been asked in the examination on the same topic. Now, while you are writing an answer to that question, you will find that the notes of the notes that you prepared have started emerging in your mind. Even when you have written a full page of your notes in the copy, your brain gently turns the pages of your notes into your comfort and you start writing the answer in the examination copy. It takes less time to write the same answer. Since the speed of your brain has accelerated by supporting your notes, you will write very fast, provided that the questions have been asked questions. 6. While creating notes, when we have to write, it is not only our conceptual practice but also the practice of handwriting. This practice of handwriting is done at both levels - Let's be beautiful at this level and at the speed of our writing speed, at this level too. And they both have their own importance in the Civil Services Examination. It is fine that beautiful characters do not play such a big role. But the speed has a very big role. You have to write at least four thousand words in 180 minutes, and they also answer 20 questions. If your speed is low here, then assume that some questions will be missed and this exemption of questions can be very fatal for you. 7. The last thing is, do not you think that now when you are making notes, during the same process of making you, you are also preparing for that topic, topic topics of that topic? On the basis of which I have had a little experience about this, I have no doubt that to make notes means that the completion of the preparation on that topic is not only complete but also very well To become. In this way, I also find the written method of making notes in a way. Friends, if you agree with me above, then now I leave this decision to you that you should make notes yourself or buy notes made of it. This is what I am saying in this form, provided that you have decided that you need notes. Friends, I have not discussed this before under the "Meaning of Notes" point that what benefits do they make. Of course, I did not worry about what the damage is. The truth is that even though we can not take advantage of it, but at least there is no loss. Yes, it is different from whether we can take advantage of it or not, as much as it should be taken. At the same time, I have not even discussed whether there could be an option. 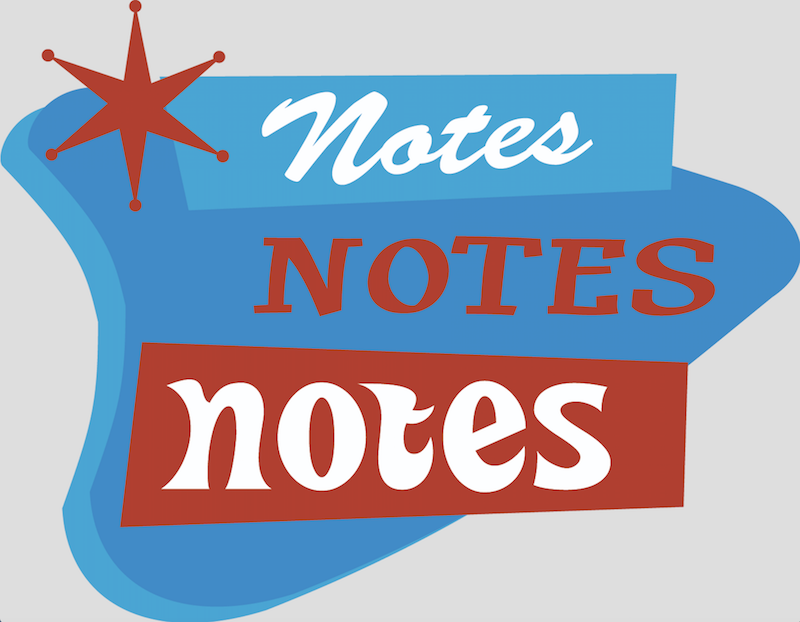 It is also important to think about the options that creating notes is not an easy task. If there are right notes to make right, then they demand a lot of time and labor. In my final and next article, I will discuss its options. At the moment I would like to take your attention toward the two main bases, which will help you in deciding whether to make notes or not. These are the main premises- (1) Habit and (2) Nature of questions. will forgive me for writing that I know that the demand for making notes is essentially psychological demand. From our childhood, teachers call us to make notes and we make them. Make more than anything else. Even teachers in the class even write notes Creating notes has become a way of working hard. If you do not make notes, then it becomes a frustration in the mind and inadvertently one begins to feel incomplete. Obviously, all this happens only because we think we should make notes. Whether or not we will have any additional benefit from this, we have never thought about it in a logical way. We assume that this will only benefit. From this point onwards till today, while we are preparing for the Civil Services Examination, as it is sitting in our mind. the most important thing is the nature of the questions that, whatever we are doing, how much and how much help will they get for our purpose? Raise the questions of the exam and look at this point seriously. Think at this point that by making notes in the way we make notes, how can we answer the questions asked in the examination? Is it possible to make notes based on the questions which are asked in the examination, by estimating those questions? Also, if the notes are to be created, then it is of a traditional nature or something else. Think of it on your behalf. In my next article, I will provide you with their answers. So far, public health services were going on in those schemes in India, where the benefit was short-lived, but their emotional impact was high. 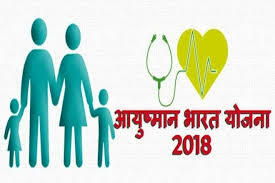 Ayushman India has changed the system and strengthened it in budget and infrastructure. Simultaneously, the process of getting health facilities has been simplified and altogether altruistic. This is very much the same, as it is better to be relieved before people are expected to improve the complex and deteriorating system during a disaster. Tertiary level health facilities of this scheme are indeed proven to provide interim relief. Whatever the health plan, some common questions related to it always appear on the head. Do our government hospitals need a plan to provide equal health facilities to the citizens? If it is, then what will happen to those poor people, who are deprived of availing this scheme, or cannot come under its purview? If you go to find answers to all these questions, then some doubts about the huge health plan like Ayushman India are also awake. This plan has definitely brought relief to the people of the area who are stranded between disorderly government hospitals and expensive private hospitals. It is also doubtful with this plan that it will prove to be a long-term or long-term policy. If it gets the electoral benefit, then it will only strengthen long-term plan based health care services. If this happens, the possibility of making any basic changes in the field of health will end. Or it may increase the expectations of the people from the government. If this happens, the level of competitive politics will rise. Recently, Rahul Gandhi has made a statement about bringing health policy on the lines of UK health services. Surprisingly, his party has given free access to private health services in the country. In any case, if the possibility of their victory could include competitive politics of health facilities like Britain, it would only benefit the public. If a scheme like Ayushman India can be built on the basis of publicly funded universal health services, then nothing can be better than that. 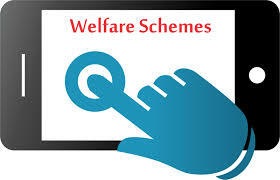 Where are we going with welfare schemes? An example of MNREGA can be taken in these schemes. In 2015, the Prime Minister himself called it 'a memorial of Congress failure'. But after two years of drought, the Modi government not only considered it proper to run it but instead provided the additional amount of Rs 6,084 crore for it, and reached the record high in 2018-19. Under this scheme, lakhs of ponds were dug up from 2014 to 2019, many animal farms were built, and several thousand Anganwadi centers were set up. In the last three years, employment was available to 5 crore people through MNREGA every year. Not only this, the government, small and marginal farmers, affected by the Rath Yatra scheme of the Telangana government, Announced announcing annually. All the government has started paying 75,000 crore rupees annually in the bank accounts of the farmers. Indications are given to increase this amount in the coming years. Rs 500 for backward farmers There is also a plan to provide monthly allowance. The benefits of money in bank accounts have often been seen only by landowners. According to critics, there will be no benefit to the farmers who cultivate the small holdings and the share. The truth is that after the announcement of the debt waiver in the forthcoming elections and the winning states of the opposition party, the Modi government still does not want to be behind. Last month, 13 Indian economists have concluded with mutual consultation that in the absence of an inclusive and sustainable progress agenda, the government has to resort to resources like debt forgiveness and reservation. Economists believe that the MNREGA and the Prime Minister's Rural Housing Scheme are being run for the poor. People standing apart from this class are beginning to worry about the future of themselves and their children. Is it true that for a country like India, can it be enriched by running welfare schemes at such a wide level?